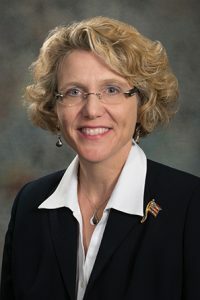 Lawmakers gave final approval March 3 to a bill that clarifies references to certain county population thresholds in Nebraska. LB74, sponsored by Bellevue Sen. Sue Crawford, aligns population thresholds for annexation, review of proposed subdivision plats and approval of planned unit developments by municipalities located within counties with a population between 100,000 and 250,000. Currently, Sarpy County is the only Nebraska county that falls within the population range covered by the bill. The bill also clarifies that population thresholds will be determined by the most recent federal decennial census or the most recent revised certified count by the U.S. Bureau of the Census. LB74 passed on a 45-3 vote.